The Hurricanes require 162 runs to win after a stellar batting performance from Hughes guided the Sixers to a defendable total in Hobart. Johan Botha and James Faulkner each claimed three wickets as the Hurricanes restricted the visitors to 8-161 from their 20 overs. Daniel Hughes put on a batting masterclass, hitting 61 from 40 balls, including five boundaries and two big sixes. 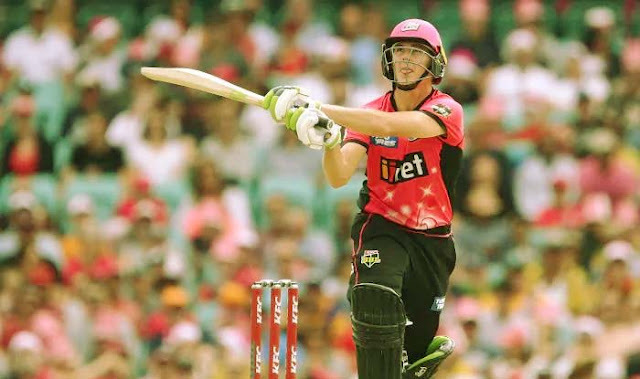 The Sydney Sixers are hoping to continue their winning form when they travel to Hobart to take on the undefeated Hurricanes at Blundstone Arena tonight. 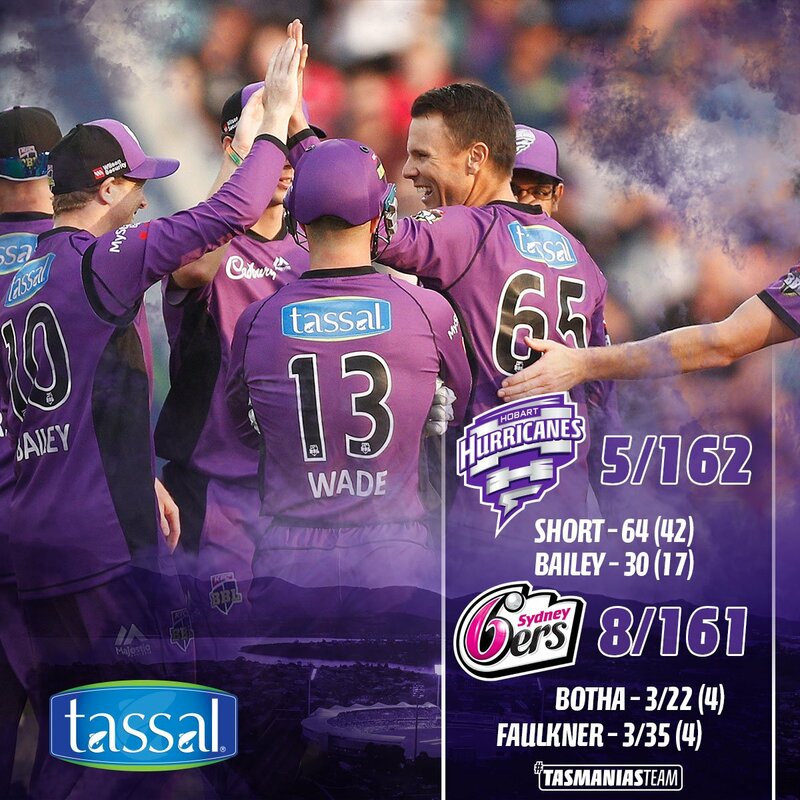 Coming off two consecutive wins, the men in pink will push up to second on the BBL ladder if they emerge victoriously — however, to do so they will have to tame a destructive Hurricanes batting attack that features D’Arcy Short and the in-form Matthew Wade. The Sixers boast the two highest wicket-takers of the BBL competition this season — Steve O’Keefe has claimed ten wickets at an impressive average of 11.70 and English all-rounder Tom Curran has taken nine scalps at 12.55. Jordan Silk is also the third-highest run scorer of the BBL this season, smashing 184 runs at an average of 61.33. D’Arcy Short sits just ahead of him on that list, with 193 runs in four knocks. 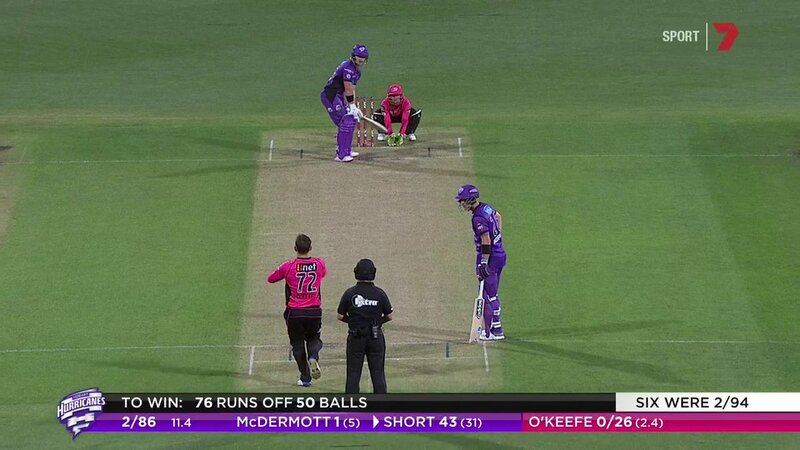 Last time these two teams met, the Hurricanes won a nailbiter by five runs in January last year at Blundstone Arena. 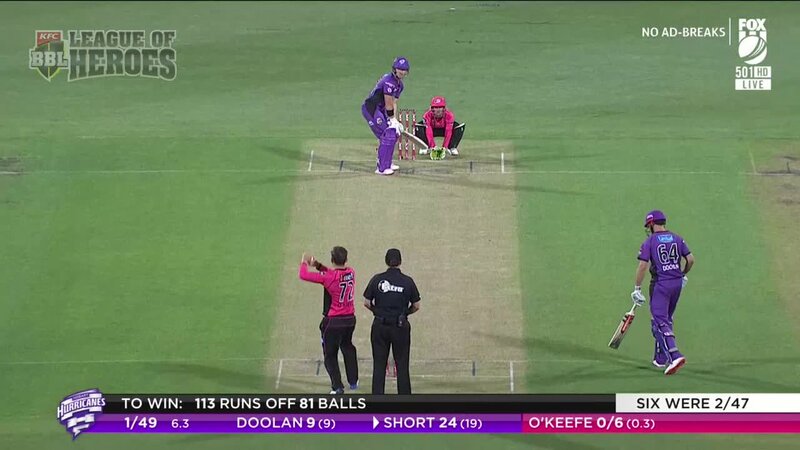 One of the biggest sixes we've seen in #BBL08! @ShortDarcy is crazy good.